ARGH! This is the 3rd attempt with a Princess Leia hat which appears easy enough but there are a few things that came up I have to grouse about. The buns. The damn dirty buns. First, it takes forever to get the thickness of yarn you need to make the braids stand out enough. I finally worked out a system that doesn’t take too long to get the length and amount I need (PS: It takes a LOT of yarn) but how do you keep them together without tying huge, ugly, giant knots in the end??? The solution was sooooo f-ing obvious. No knots required. Just tie the same colored string around the end and add a dot of Elmers Super Hold Glue so it hold steady. NO ONE TELLS YOU THIS ONLINE THOUGH! NO ONE! Seriously could have saved myself massive tears on that fiasco. Nut hey, I did it with no pattern. Just winging it off pics I’ve seen. Truthfully you don’t really need a pattern. 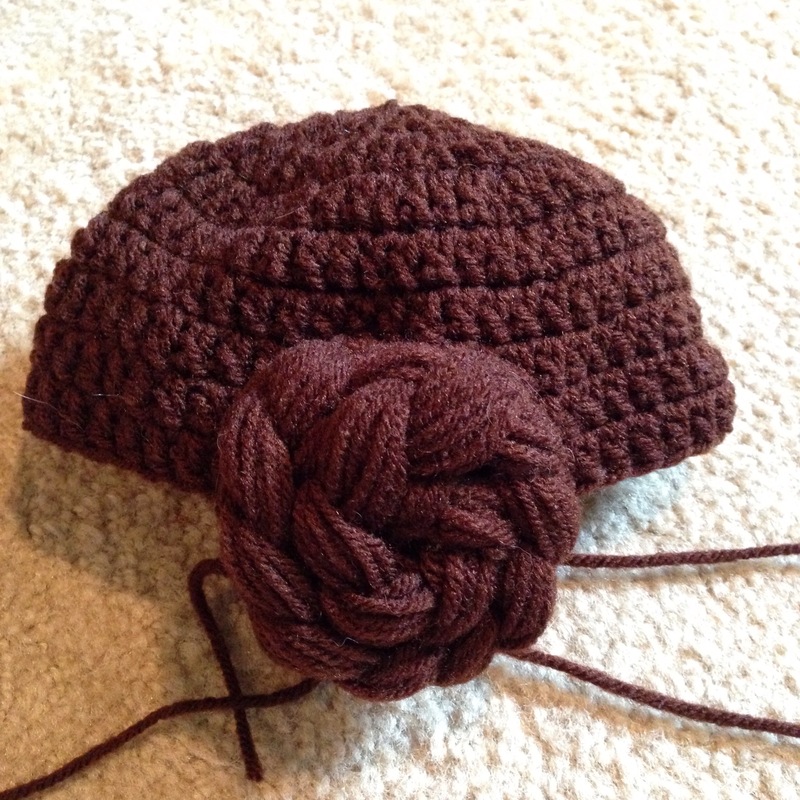 It’s a beanie with buns…but the buns…that’s where they get ya. This entry was posted in Uncategorized and tagged arts&crafts, baby, baby hat, beanie, crafts, crochet, geek, geekery, princess leia, Star Wars. Bookmark the permalink. 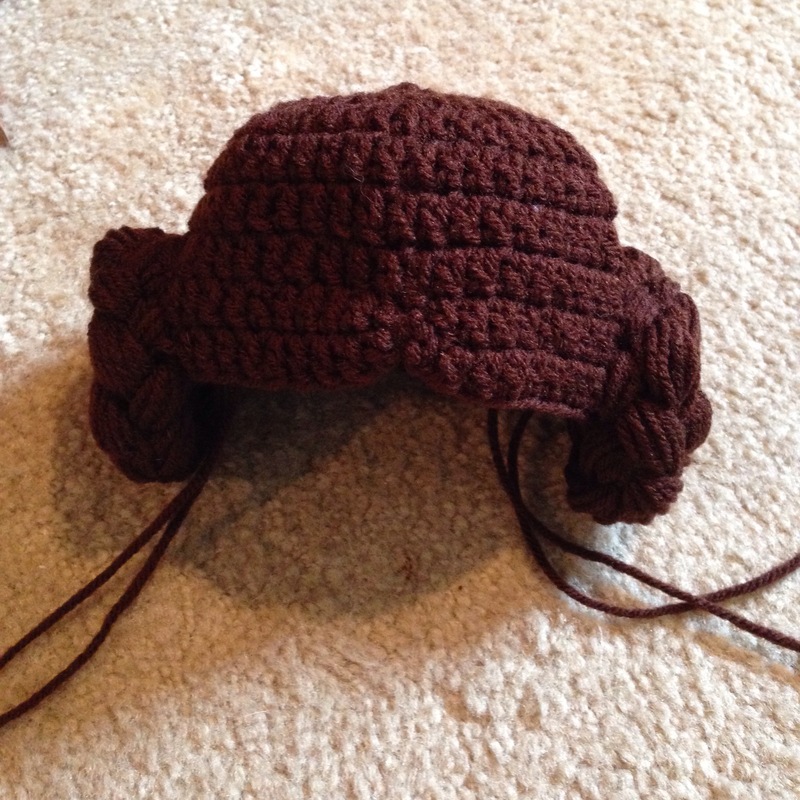 I made a Princess Leia hat for my one year old neice this past Halloween but my sister wanted it to double as one of those Cabbage Patch doll wig hats so I added all the obnoxious loops around the bottom of the hat. Not going to lie though, I gave my sister the yarn & told her she had to make the buns. Frustrations avoided.